This is me, post 8-mile run Sunday morning. Look closely, and there are icicles on my eye lashes. Yes, I am insane. 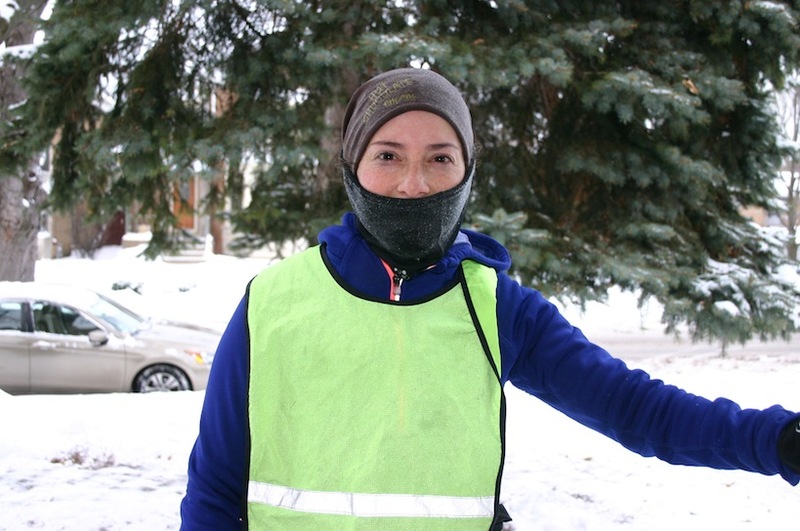 (Read my post on running in winter weather, if you’re curious how to manage.) Add to that, the runs I did outside last week in miserable, frigid weather, and I’ve been feeling chilled to the bone. The antidote was a combined effort. 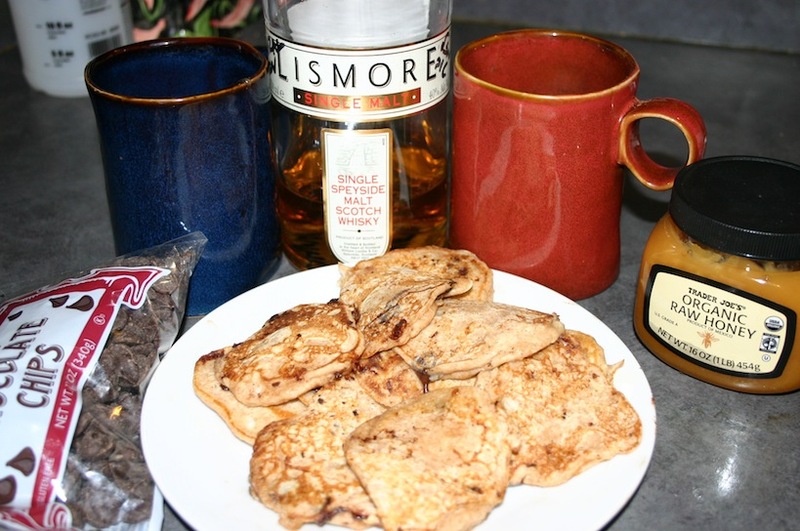 My husband fixed up hot toddies, while I whipped up chocolate chip pancakes. It all took less than 20 minutes, and I was finally warm. That is, until tomorrow’s run. Pour the honey, boiling water, and whiskey into a mug. Add tea bags and let it seep a few minutes. Spice it with the cinnamon and put in the slice of lemon. Let the mixture stand for 5 minutes so the flavors can mingle, then sprinkle with a pinch of nutmeg before serving. Mix the flour and wheat germ in a bowl. Add the cottage cheese and buttermilk (or milk/vinegar mixture) and any fruit or chocolate chips. Stir well. Cook on each side until brown in a frying pan with a little bit of butter. Top with real maple syrup. love choc chip pancakes (and with cottage cheese!!!) YUM! havent made pancakes in a while, sounds yum! I have been wondering what a Hot Toddie really was, glad to know I can just add whisky to my favorite tea.